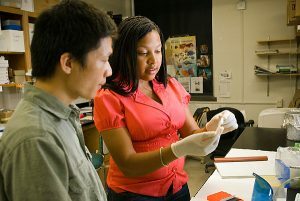 UW-Madison has a tradition of interdisciplinary scholarship, and all UW-Madison PhD candidates complete a minor to gain breadth of knowledge. Students interested in quantitative biology are encouraged to complete the QBio doctoral minor that bridges training in the physical and biological sciences. The QBio program is compatible with PhD programs in the biological sciences (e.g. Biochemistry, Cellular and Molecular Biology, Genetics) and physical sciences (e.g. Computer Science, Biomedical Engineering, Math, Statistics). In addition to elective coursework based on their background and specific research interests, all QBio students take a core ‘Methods and Logic in Quantitative Biology’ course to foster a tight-knit student community. Find out more about the QBio minor.